Rent Calculator: How much can I rent my house for? 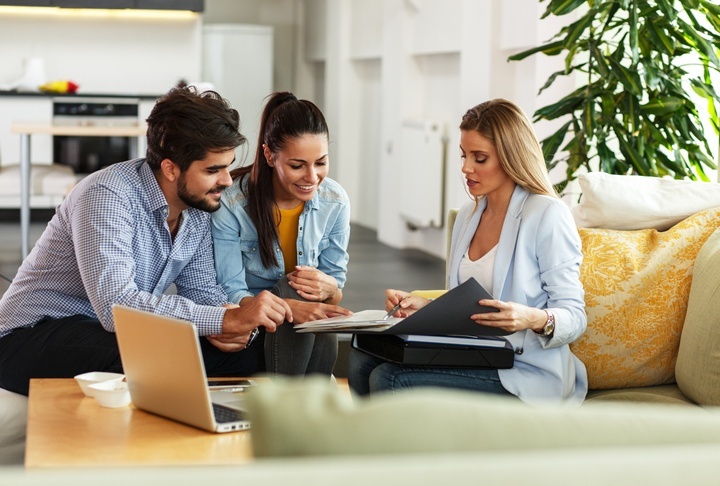 Whether you're interested in getting an idea of how much your home is worth to rent, just out of curiosity or in order to become a landlord, here's how. Our rent calculator works out how much rent you should charge based on your property type, location and local demand. Whether you’re moving jobs and find yourself needing to rent your home, are having to rent out a home you’re struggling to sell or adding to your rental property portfolio, making sure you charge the right amount is critical. Asking too much in rent could price you out of the local market and leave the property sitting empty, while charging too low may leave you unable to cover the cost of your mortgage and other fees. But working out how much rent you should charge isn’t easy, especially if you’re new to lettings or are renting out in a location you’re not familiar with. A great place to start is our rental calculator which can instantly give you an idea of the rental amount you can charge. Got my online valuation. What next? The online valuation only gives an indication of what you can charge. The actual amount will depend on the location of your property in proximity to local services and transport and the condition of your property. The closer you are to shops, schools and transport links and the condition and features of your home (e.g. number of bedrooms and bathrooms, and whether you have a garden or off -street parking). Whether you are going to let out the property furnished or unfurnished will also impact how much you can charge, as when, say all appliances and full furnishings are included you can often charge slightly more rent than an unfurnished property. We would suggest speaking to three or so local lettings agents to understand the local rental market and ask how much they would charge for a property like yours. They will be able to look at similar properties like yours. They will no doubt also pitch for your business – renting isn’t straight forward (see below) so it may be worth at least pricing up their letting services. Letting agents should be able to find tenants, advertise your property on Rightmove, Zoopla and other portals, organise and attend viewings, manage offers and obtain references from tenants and attend to all the legal aspects of renting your property. They can also go beyond this, offering full property management services. But they are far from free, so you’ll need to crunch your numbers to ensure you can afford it. How much do letting agents charge to rent out my home? A tenant-find only fee is about 6-8% of a 6 month rental agreement fee. This can be higher in London. A tenant find plus rent collection agreement can be more, at 8-12% of the monthly rent collected. While full management fees will typically cost landlords 10-15% of the rent collected. Check carefully what is and isn’t included in your letting agent fees to make sure you are comparing like for like in terms of services the different lettings agents can provide. As well as high street lettings agents, there are also an increase in online lettings agents which offer often cheaper packages which you can adapt to suit your needs. Yes you can, but there are a number of legal responsibilities you need to understand before doing so. See our guide to becoming a landlord. Can I rent my home out temporarily while I find a buyer? Obviously not every landlord is in the property business by choice. In many cases homeowners find themselves with little option but to rent out their home because they struggle to find a buyer. If this is you then one of the first things you need to do is contact your mortgage lender to make them aware of your situation. As a short term solution the lender may grant you a Consent to Let, which allows you to let your property for a maximum of 12 months while maintaining your current mortgage. If your lender is willing to grant you this it could be a good solution if you believe the local market will have improved in a year’s time and you intend to put the house up for sale again.